يشكل فندق Ambassador Thermal Motel بموقعه الممتاز في قلب مركز مدينة روتوروا نقطة انطلاق ممتازة لاستكشاف روتوروا. إن موقع الفندق الاستراتيجي، الذي يبعد فقط عن مركز المدينة، يسمح للنزلاء بالوصول سريعاً وبسهولة إلى العديد من الوجهات المحلية المثيرة. سوف يعشق النزلاء موقع هذا الفندق، فهو قريب من أهم المعالم السياحية في المدينة كمثل Cottage Flair, ‪Arawa War Memorial Statue‬, ‪Eat Street‬ . كما يقدم Ambassador Thermal Motel الكثير من الخدمات لإغناء رحلتك في روتوروا. هذه بعض الخدمات الموجودة في هذا الفندق: تسجيل وصول/خروج سريع, تخزين الأمتعة, واي فاي في المناطق العامة, صف السيارات, جولات. في Ambassador Thermal Motel غرف نوم يزيد عددها عن 19 صممت بذوق وعناية لتوفر لك كل وسائل الراحة . بعضها يحتوي أضاً على تلفزيون بشاشة مسطحة, اتصال لاسلكي بالإنترنت, غرف لغير المدخنين, تدفئة, خدمة الإيقاظ. إن حمام سباحة خارجي, حمام سباحة داخلي, سبا هو المكان الأمثل في الفندق للاسترخاء وتفريغ طاقتك بعد نهار طويل. مهما كانت أسبابك لزيارة روتوروا، فإن Ambassador Thermal Motel هو الخيار الأفضل لإقامة مثيرة وممتعة. Big room, complete cooking facilities, near rotorua isite. Very nice people. Always stay there when in Roturua! The staff was very friendly and helpful, the facilities are great especially if you are after a mineral pool to soak in after a day of travel. The rooms are clean and well kept and was a comfortable stay. The only room for improvement was the bathroom door being a little hard to close and no lock. I was visiting Rotorua for work and the Ambassador Thermal Motel met all my requirements. It was very quiet, close to the city centre, restaurants and the lake. Plenty of free parking on the street. I would definitely recommend this motel. Cons: Airconditioning does not get cold, the wind coming out of the AC is "fan" not cool, but totally not an issue. Great: Location - so close from the I-Site Rotorua bus stops, Government Gardens, Tamaki Maori Village, the boardwalk and park, Pak n Save grocery (cheaper than Countdown) and so much more. Very central, it's a perfect location if travelling to Skyline Rotorua, Taupo / Tauranga, etc. Rooms - The manager upgraded our room to a 2 bedroom. Huge rooms with updated kitchen facilities. We love getting our groceries from Pak n' Save and cooking. Facilities - while we didn't use the swim pools, the Jacuzzi Spa Pool was an amazing retreat after a whole day of walking and touring. Laundry is available as well for $4.00. 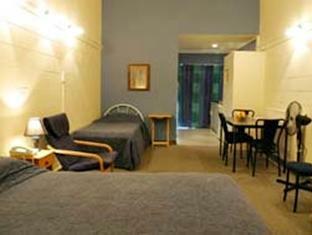 Staff - Great management and staff, they're super nice and helpful I will stay here again if ever I come back to Rotorua. Love that this hotel is so near to the government garden and the lake. We stayed in the studio room and it was really spacious and it has all the basic that we need; comfy bed, clean toilet with hot water and a small kitchen. However, during our stay there are also a big group of youngsters (i sound like an aunty, i know), quite rowdy and noisy bunch (having a party?) but luckily the noise stopped at 10pm maybe. And it would help if the front desk and check in process are nicer and friendlier. Really enjoyed my stay, everything is close by, a walking distance to there town parks and lakes really close.. really enjoyed it..
Got a whole house unit with 2 rooms. The owner couple is friendly and nice. They have a hot spa to use during our stayed. Very convenient location, walking distance to Government Gardens and Lakeside. The Eat Street is just few minutes walk from the motel. 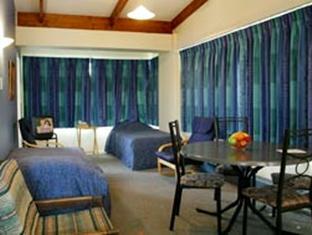 The place is walking distance to Lake Rotorua and the town centre. It has a lovely hot tub and an indoor thermal pool as well. There is also a great kitchenette in our spacious room. Would totally recommend! this is the best accommodation during travel in NZ. I totally recommend this motel to everyone! Excellent location with great facilities including three types of pool! Very clean with a very useful kitchen area - couldn't be better for a short break. I would have no qualms in recommending. It is reasonably priced, our group consist of 2 couples so we booked 2 separate rooms. 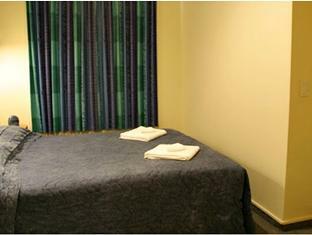 However to our surprise there are 2 single bed and a queen size bed in each of the room. No complaint for the extra room. Location wise, you can see Lake Rotorua from your room and just a 10 minutes walk to the town centre. Most important it is clean and fully furnish with furniture and kitchen equipment. Amazing. The customer service was excellent. It was in a good location to walk to shops and bars also. The lady behind the counter was so lovely! 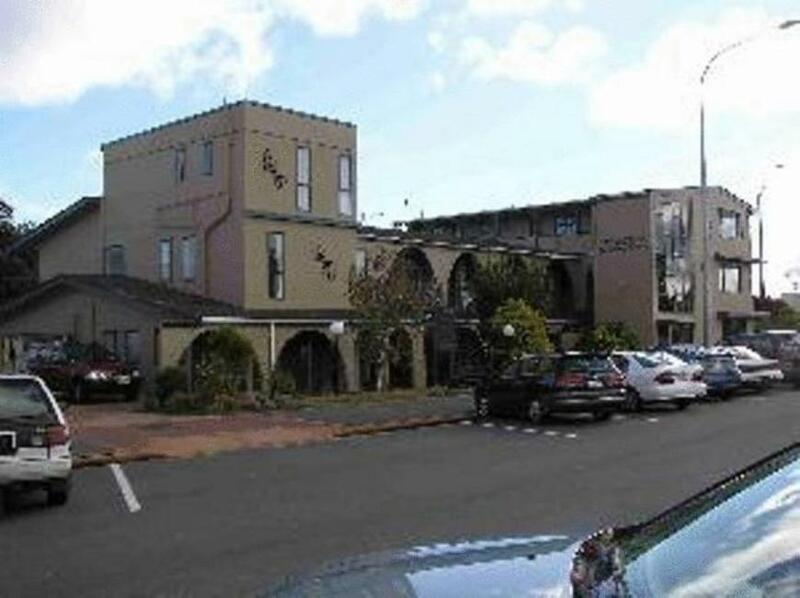 This hotel was very central for us to walk around the central area of Rotorua. Room was very spacious. Probably could have had a couch instead of a third bed, but certainly would have been useful for a travelling family. Staff appear to do a good job cleaning all the rooms. We enjoyed the facilities - pools & spa. The room was reasonably clean but the single beds were not very comfortable and there was no room to hang out all the towels to dry (separate towels provided for the pools and for the shower). The hotel itself needs a bit of cleaning and maintenance but nothing to alarm. Staff is helpful.